During ordinary times or during an emergency, disaster, or SHTF, communications can be of utmost importance. 2-way radios are an excellent choice for many use-case scenarios for personal communications. 2-way radios do not rely on anything external like wireless providers, cell towers, network service providers or the internet to provide communications between radio units. They are used as a stand-alone system that can be used anytime – anywhere. 2-way radios are independent, making them a great choice for preparedness. The FCC has allotted specific frequency bands for 2-way family-type radios, and they transmit on various sets of frequencies labeled FRS, MURS, and GMRS. It is an improved ‘walkie-talkie’ system and it does not require a license, and is limited to 0.5 watt transmitting power. The usual range of communications between FRS devices is less than one mile. There are 14 FRS channel frequencies. It does not require a license, and is limited to 2 watts transmitting power. The usual range of communications between MURS devices is less than a few miles. There are five MURS channel frequencies. Technically, GMRS does require a license from the FCC, and transmitting power is allowable up to 5 watts. However in 2010, the FCC proposed to remove the individual licensing requirement for GMRS and instead license GMRS “by rule” (meaning that an individual license would not be required to operate a GMRS device). This proposal is still pending. Information from the FCC regarding GMRS and licensing can be obtained here. There are 23 GMRS channels. Note: When looking at the manufacturers claims of transmitting range, they are never close to that in ‘real life’ situations. Their measurements are made under ideal conditions which typically do not exist in the real world. Hills, trees, buildings, or any obstacle will reduce range. You will get the best range over open land or over the water. Note: Many hybrid FRS/GMRS radios number the frequencies according to how they are stacked in the radio’s programming (usually in order of frequency, not channel number). Because of this, frequencies may appear incorrectly numbered on the radio’s channel readout. Check your owners manual. There are lots of 2-way radios out there. Do some research and consider adding some to your preps. Some radios have built-in digital scramble capabilities. The problem with FRS is radios that use it are often limited to basically line-of-sight. Great for camping, hiking and skiing, but really lousy in an urban environment with city blocks, building, etc. I believe MURS is what’s being used in a lot of building security outfits nowadays (150-160 MHz). I would prefer that, as I often see our company security guards use them very often, and they never seem to have problems receiving or transmitting, even between buildings or through so many different floors, with walls and office equipment and such. Come to think of it, 2 Watts power for a radio does represent quite a bit of oomph. In our business net I am currently using 8 of the Puxing 777 VHF radios on MURS frequencies. They put out a full 5 watts on HI setting and also have voice inversion scrambling. They come with Lithium Ion batteries and a nice drop-in charger, too. About $80 each. I got mine from murs-radio.com. Speaker/Mic’s and stealth accessories are also available. I can only get a couple of miles range in my suburban setting, but there are a lot of buildings, etc. Murs are 5 channels only, in the 151-154 mhz range. Better yet, study up and get your Ham license and you can learn to properly operate a hand held radio from 5 watts up to a mobile radio or base station with 1500 watts and a real antenna. Talk around the world not just around the block! My experience with FRS radios has always been disappointing. The cheapest Ham radios can run from around $40 up to thousands of dollars. Practice now or you won’t have a clue how to make contact when it matters. Have been a radio hobbiest for over 40 years; have a pretty good idea of what works and what doesn’t. Single-Sideband (SSB) is the way to go for CB radios; a much cleaner, quieter mode that extends your range DRAMATICALLY over AM-only units… in my part of the country we often communicate 50-60 miles on SSB without relying on atmospheric conditions. FRS, GMRS and MURS radios are useful as well, but as already noted, are better in open-country envirnoments than in urban settings; don’t believe the manufacturer’s “35 miles” claims, however- about 5 to 6 miles, tops, under typical conditions, and often less. Commercial/”Amateur” radios like the Puxing work well; my group is currently using the Baofeng UVR5-series 2-Meter/440 handheld radios which are some of the most versatile handhelds on the market. 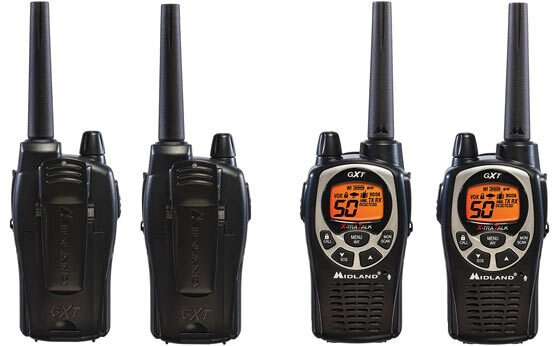 These are “open protocol” units limited only by the operator’s choice of programming; they’ll cover the 2M and 440 MHz Amateur bands and virtually anything ELSE in the VHF-High and UHF spectrums… NOAA Weather, local Police, Fire and Ambulance services, the FM Broadcast band, you name it; even FRS, GMRS, and MURS. Currently around $37 apiece on Amazon, and come with Li-ion batteries, drop-in chargers, earbud speaker/mics and “rubber duckie” antennas. They offer a full 5W output and are easily-adaptable even for base or mobile operations, and are cheap enough that you can consider them “disposable” if anything happens to them; you can also afford to buy several. Another excellent choice, in a mobile/base radio, would be the new TYT TH9800 quad-band radio, another “open protocol” programmable unit that will operate with 5oW output on 2M, 6M, 10M, and 440, in addition to covering the 11M CB band. Hope this helps. What would the range be on the Baofeng if I had one and a friend or family member who lives 20 miles away had one? Looking for something to use as commo if the grid goes down. Dang Ken, what timing. Last night I was thinking that its time to add to my preps and this is one area I completely overlooked. We currently have nothing for communications. We use our GMRS for things like talking vehicle to vehicle when others in our party don’t have CB’s. They’re also good for when the wife and I split up in the grocery store to gather items…cuts down on time in the store. Last year, while hunting, we were able to locate a lost hunter, because he was carrying a radio. On the commonly available two way radios and CB’s you need to assume someone is in fact listening. It may simply be a kid playing with the radio or a nieghbor or even a contractor or other business. But someone is listening. Some scanners have a “close call” feature that’ll automatically tune to any strong (read: nearby) signals. Or, could remove the antenna from your scanner to achieve a similar result. In a shtf situation, we’ll be monitoring for any nearby radio activity 24X7. have a pair of cb’s and a mobile unit , a pair of GMRS BaoFeng UV-5R all in a Faraday cage. will look into getting a CB with ssb on ebay. Use FRS, MURS, CB and stay off the ham bands. We don’t want you there. The hams are an educated, scientific bunch of guys who have university degrees and talk a lot of “tech”> we don’t want science denying right wing survival types who want to control us with “God and Guns” any more than we want socialism. If you are against science why would you want to be on the ham bands where almost everyone believes in science? This is the most profoundly ignorant statement I have ever heard. Right wingers dont want to make anybody do anything, they just dont want technocrats telling them how to live. And many of us are also “well-educated” and scientists. Wow. Typical Liberal. You are kidding, right? I am a right winger and I am also a licensed ham. I have an advanced university degree, a pilots license, and various other certificates of accomplishment as well as a black belt in Judo. Your arrogance and ignorance is the kind of “vibe” that chases people away from the hobby. If anyone should move over to CB and FRS it is you. People like you are poison to new ham licensees. Simple communication in a bad situation would be the answer…and don’t worry…I doubt if you’d appreciate much less understand what we would be talking about, anyway. In a SHTF situation…you really won’t have any say if us ‘God Loving, U.S.A. loving and Constitution loving’ conservative ‘nuts’, of which I’m a proud member, decide to use ‘Ham bands’. Don’t forget about software defined radios (SDR’s). You can get an RTL-SDR (RTL2832U) dongle for about $20. The computer software used to control and monitor the radio is available as a free download. The radio itself is so small you can carry it in your pocket like a flash drive. It covers a huge range of frequencies from 24 – 1766 MHz. This coverage will let you monitor CB, FRS, GMRS, marine, air, some (but not all) ham frequencies, business, police, and lots of other bands. And, if you spend a little extra and buy yourself a good discone scanner antenna to mount on your roof along with some good low loss coax (the cable that runs from the antenna to the radio) you will get outstanding reception. Any Advice for a first time 2-way radio buyer looking to stock up my emergency kit for my family? I don’t know anything about 2-way radio’s.